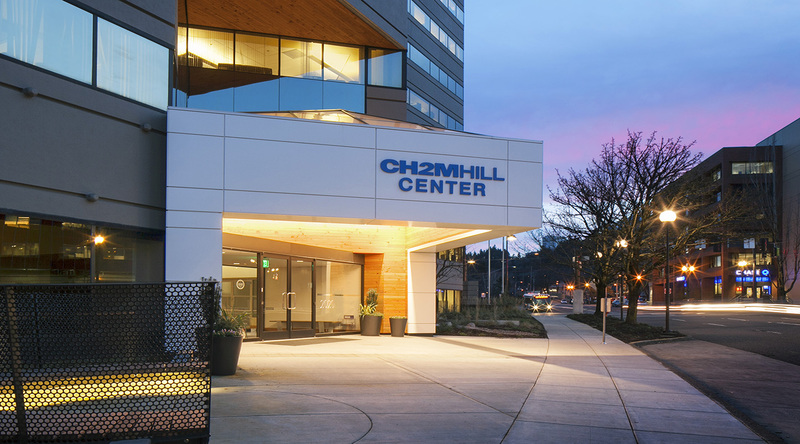 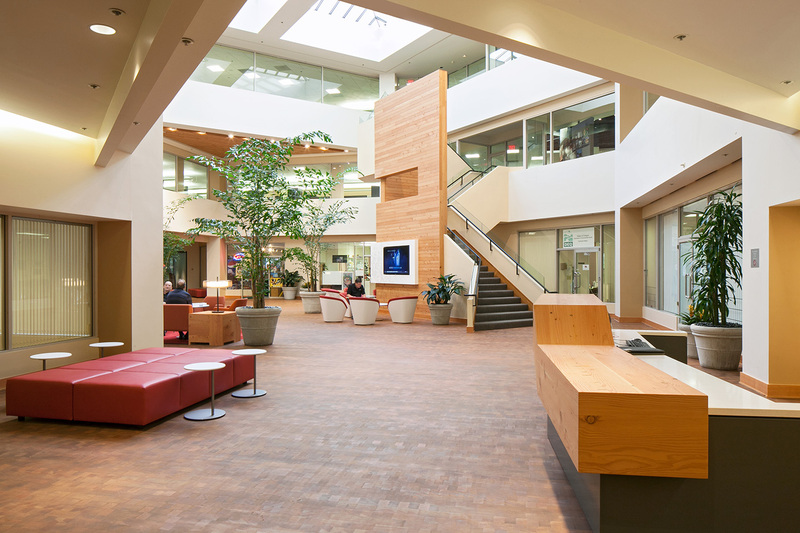 The 1990’s CH2M Hill office building received a much needed upgrade to the existing entry and 25,000 sf lobby. 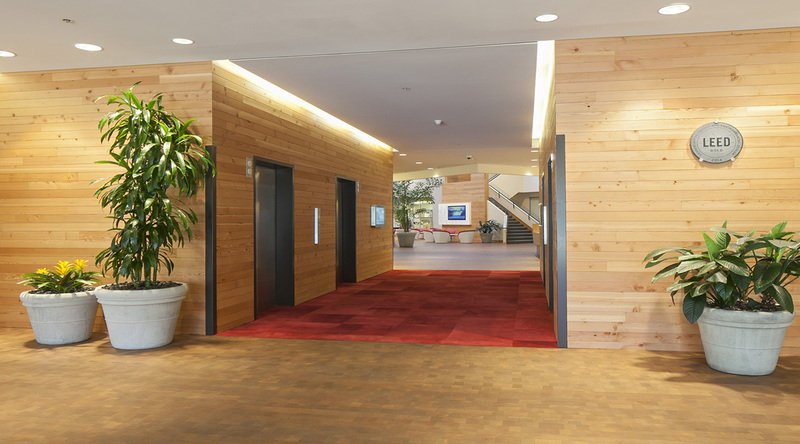 The renovation involved installing over 13,000 linear feet of reclaimed lumber paneling, all of which came from past Bremik historic renovation projects (White Stag Block, Jones Cash Store, Eastside Exchange, and Ladd Carriage House). 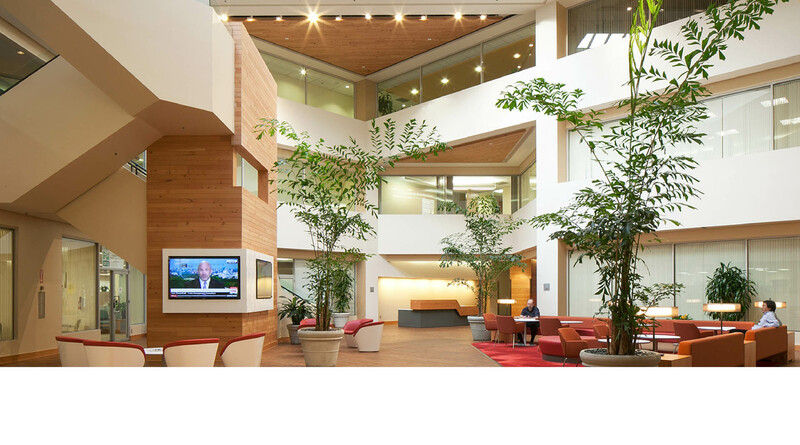 A new glass railing at the grand staircase was installed; reclaimed wood flooring was laid throughout; and the exterior entry gained a new focal point by using a combination of composite metal panels surrounding a pyramid glass skylight over a flamed granite walkway.